This mounting method offers a contemporary, minimalist finish. There is no mount or frame to distract from the image, which works beautifully for a piece to be displayed alone in a prime setting, such as a key wall or above a fireplace. 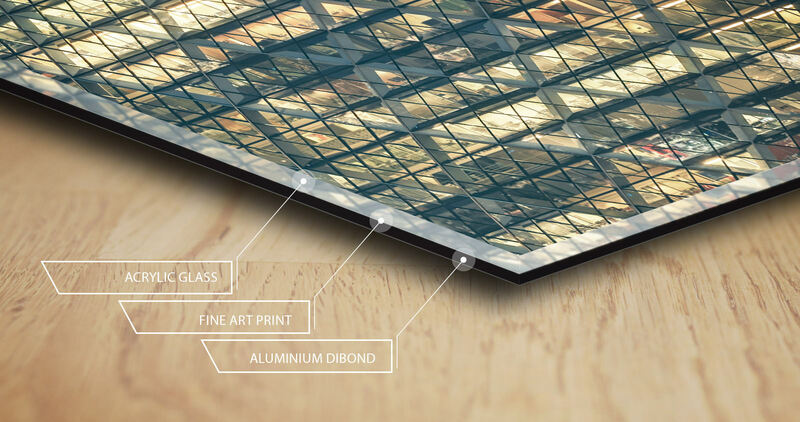 A C-Type print is mounted on dibond (usually 3mm thick), a strong but lightweight aluminium composite. 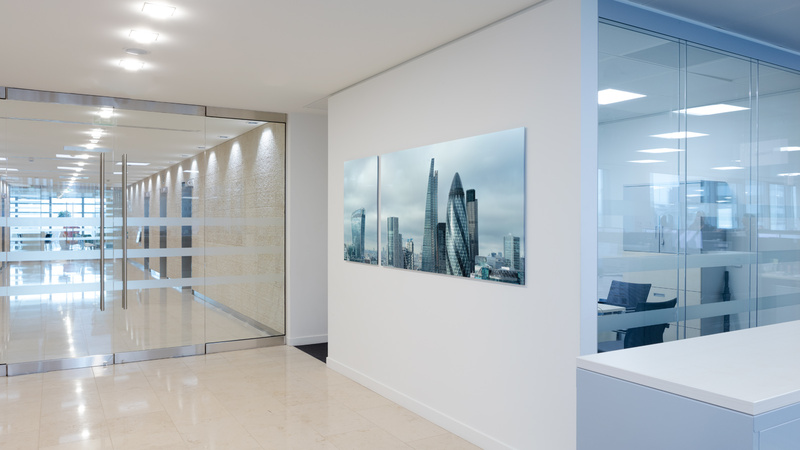 It is then completed with an acrylic front (between 3-8mm thick), seamlessly bonded to the image. On the back of the image is an aluminium subframe which increases the rigidity of the piece; especially important with long, wide images. The subframe raises the piece a couple of centimetres from the wall, giving the artwork a subtle shadow and floating effect. A wooden batten is attached to the wall, and the subframe simply slots onto the batten. Minimum size, 1m wide. The maximum size for a single piece is 3m x 1.5m.